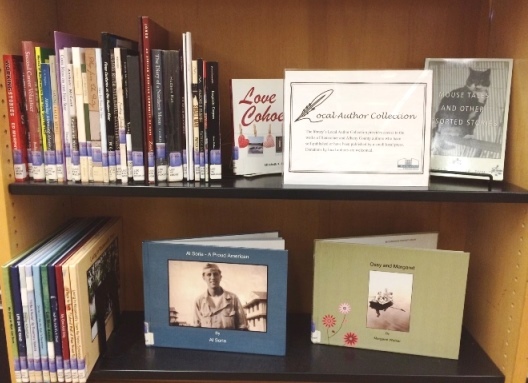 The Local Author Collection features fiction and non-fiction works for adults and children, authored by residents of Rensselaer and Albany Counties. New materials are added regularly. Come browse the collection, check out an item, and support our local writers! Materials in the Local Author Collection may be checked out for 28 days and are eligible for renewal. Donations to the collection are welcomed (see Guidelines for Local Author Collection below). This collection is to provide access/exposure for local authors of Rensselaer and Albany Counties who have self-published or have been published by a small local press and would not be acquired through the traditional Materials Selection Procedure. Items must be bound suitable for Library usage, have an ISBN and a minimal amount of metadata for processing. This is primarily a donated collection. All items will be reviewed and must adhere to the Library’s Material Selection Policy. Those books deemed not eligible for the collection can be retrieved by the author. 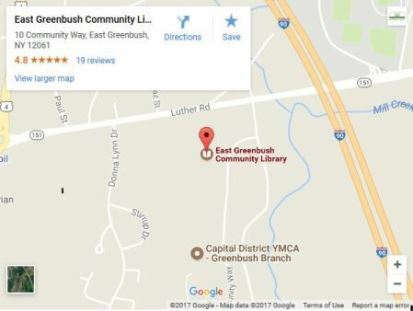 The Library reserves the right to purchase additional copies of donations. The Library reserves the right to remove titles according to our normal collection management procedures.